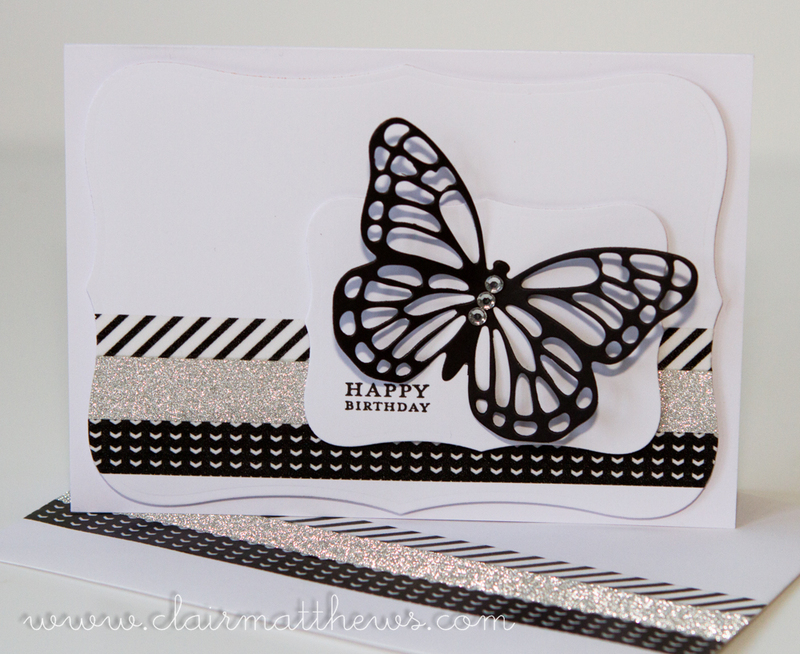 Clair Matthews: Stampin up butterfly.. I used some Stampin up washi tape on this card too which is a bit of a mission for me at the moment, I have so many rolls & I really should use them instead of hoarding them!! lol. 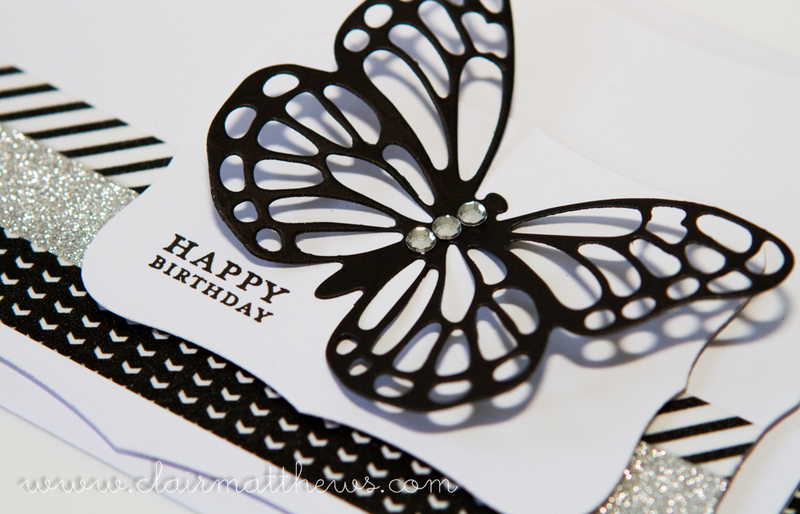 It's a pretty simple card, but like I've said before I think sometimes the simple ones are the best ones! This is simple Clair but really pretty, it's very elegant. I have rolls of washi tape that I've not used, never knew quite what to do with it!